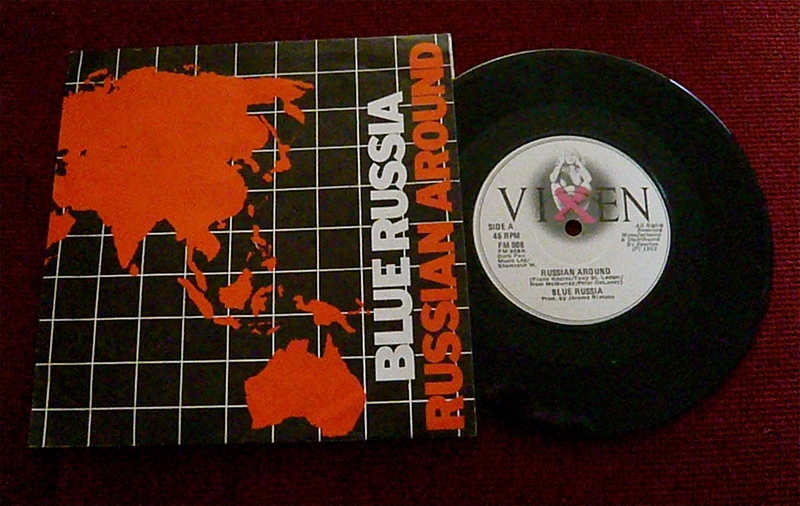 Blue Russia formed from The Myster Men in 1983 – Pete Delaney, Tony St Ledger, Frank Washington and Noel Mc Murray. Rehearsing in Mount Temple Comprehensive School on Dublin’s Northside home to Frank’s fellow friends and classmates U2. 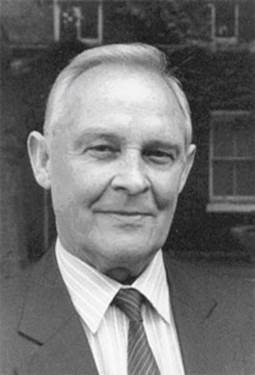 School teacher Donald Moxham again gave use of the rehearsal rooms to The Myster Men affording them the time and space for the band to develop their song craft. 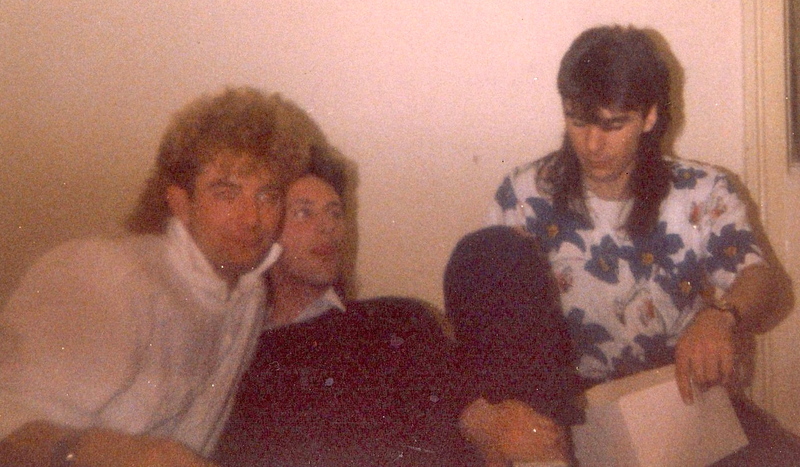 Playing extensively throughout Ireland in early 80’s the band then set for for a series of showcase gigs in London. Blue Russia rehearsed in the St Xavier Boys Club a converted studio in Sharrard Street directly across the street from The SFX Theatre. Echo & The Bunnymen, Siouxsie and the Banshees, New Order, Simple Minds and U2 were packing them in just across the road.The band were on stage at rehearsals with U2 as songs like Pride in the name of love was performed and the film was shot at this location. Blue Russia recorded sessions for The Dave Fanning show on 2FM . 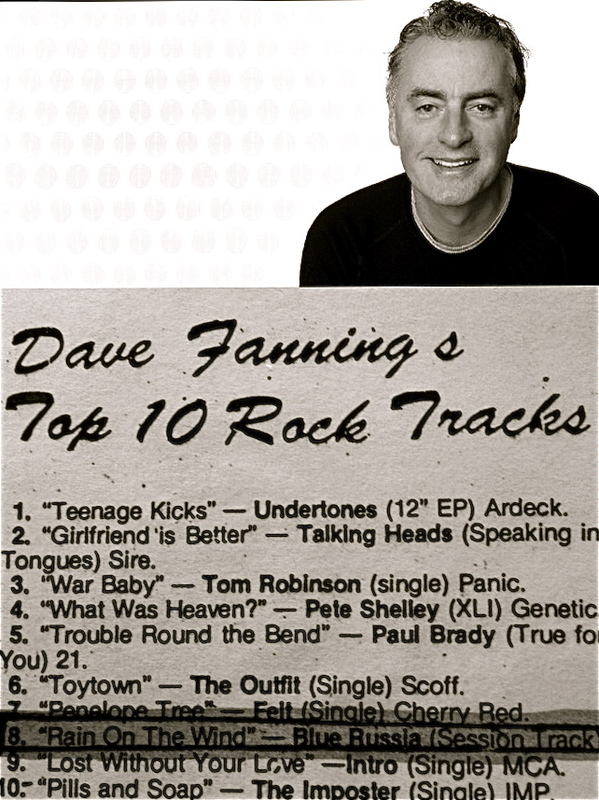 Fanning was later to put one of the tracks from the recordings ‘Rain on The Wind’ produced by Ian Wilson, onto his top 10 rock tracks from that year. Other tracks from the session included the well loved European Limousine. 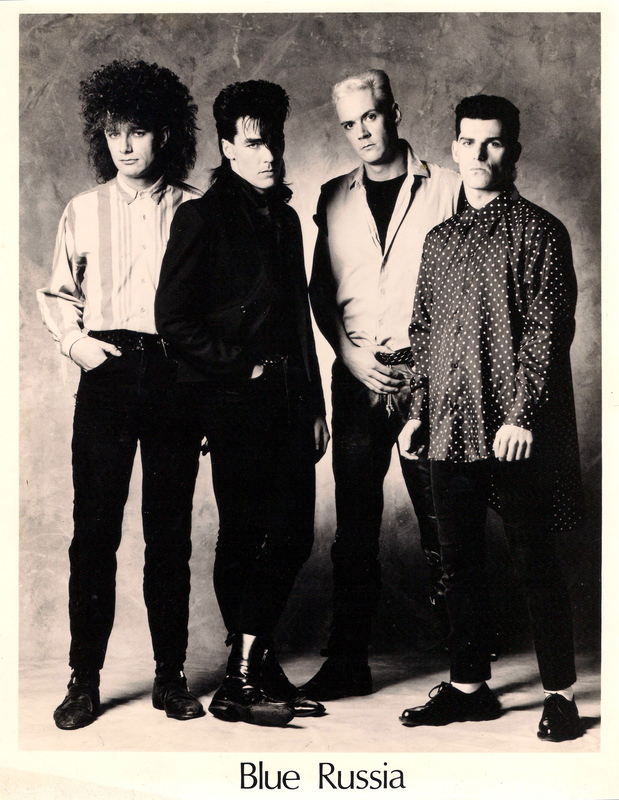 They were managed and supported by Tommy Delaney throughout their musical career. A journey from the bleak recession which gripped Dublin, to follow dreams in London. Tulse Hill SE21 London just outside Brixton at 229 Norwood Road became home. A showcase gig at The Embassy Club, 7 Old Bond Street W1 was secured. Interest was shown on the night by Iraqi businessman Tariq Siddiqui who was already representing Julian Lennon and MTV VJ Ray Cokes and wanted involvement with a rock band. 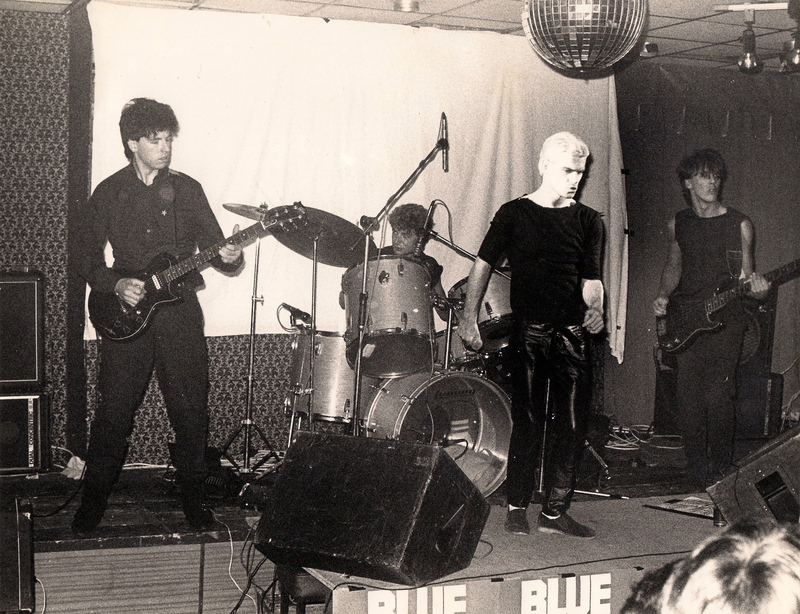 After the The Embassy Club showcase, the band struck bad luck when after a very late finish, the band’s truck and gear was stolen along with former sound engineer with Some Kind Of Wonderful Chris O’Briens 3K PA system from Tulse Hill later that night. This event left the band without instruments and facing into the harsh London winter. Help was immediately forthcoming from U2, through Frank’s close friendship with the band – in particular Larry Mullen. 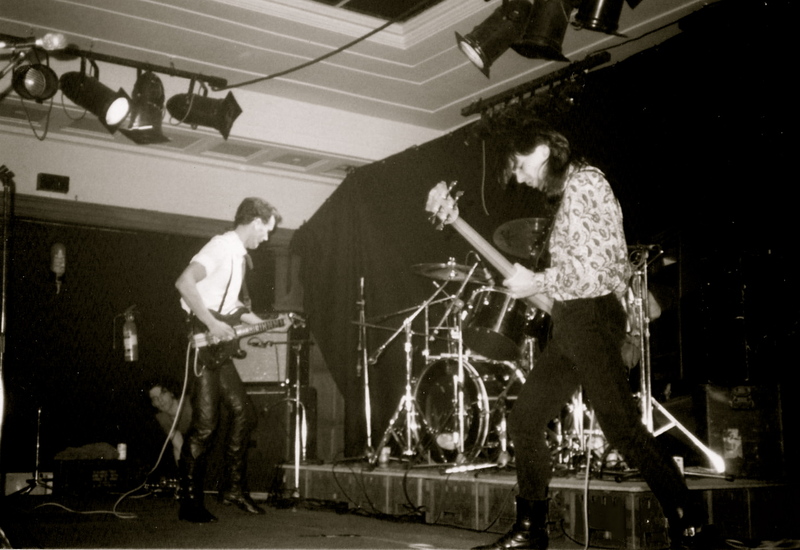 When equipment was shipped from Dublin, it was appreciated and energised the band to get the show on the road again. Larry stayed with the band in London and gave huge encouragement and advice that guided the band back to the stage. Tariq Siddiqui (who wanted to become involved in the band’s management) gave financial input for instruments and recording studios in Brixton. 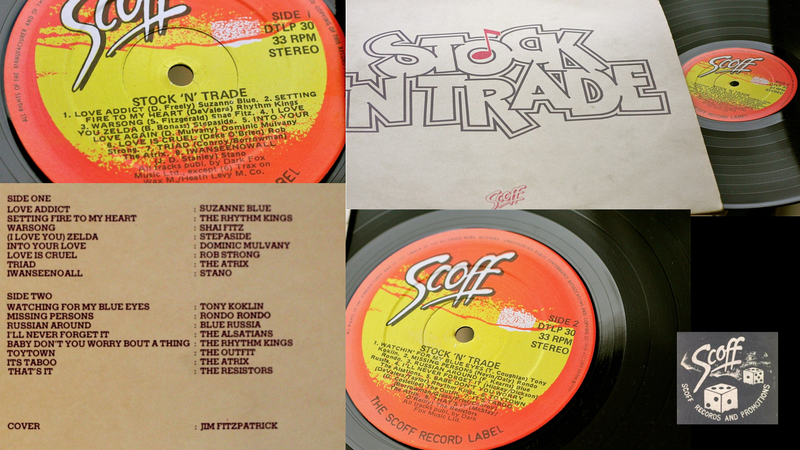 This arrangement worked for some time and recordings were finance made in recording studios in Brixton. The Band roamed the King’s Road, and with an office in St Christopher’s Place in W1 things were certainly on the up. 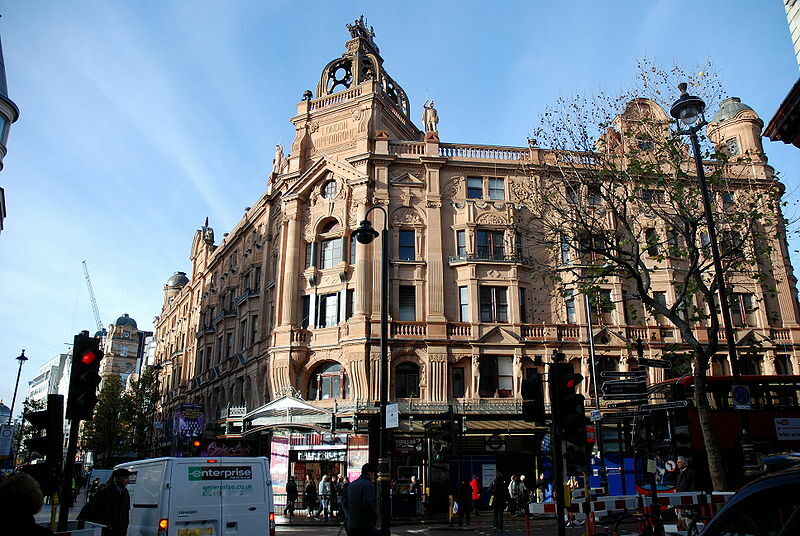 Recording sessions were held at a small studio above Ronnie Scott’s Club and as Siddiqui was a close friend of nightclub owner Peter Stringfellow Blue Russia were the first live band to play at top London nightclub The Hippodrome on Leicester Square. Frank Washington’s thoughts began to turn back to Dublin. Feeling he had enough of London he wanted to return home. The other three members felt differently and thought that London had still more to offer. Frank returned to Dublin and formed Cactus World News who achieved many great things in the music business. Stephen Travers of the Miami Showband gave great support and time to the band. 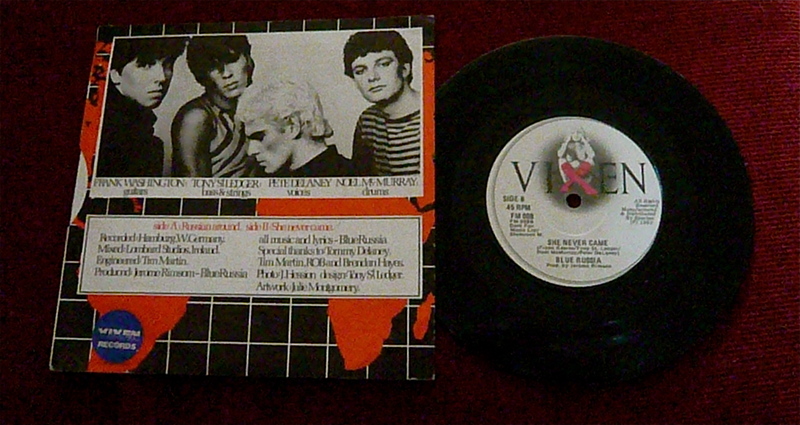 Tommy Delaney worked with Steve in The Prince Of Wales in Brixton where they met Jim Muller, a Scottish guitarist, who had played with many bands in London. Miller became the fourth member of the band. Travis gave the band opportunities to work through his networks to earn and play gigs in the London area. The band will always remember Stephens kindest and support. 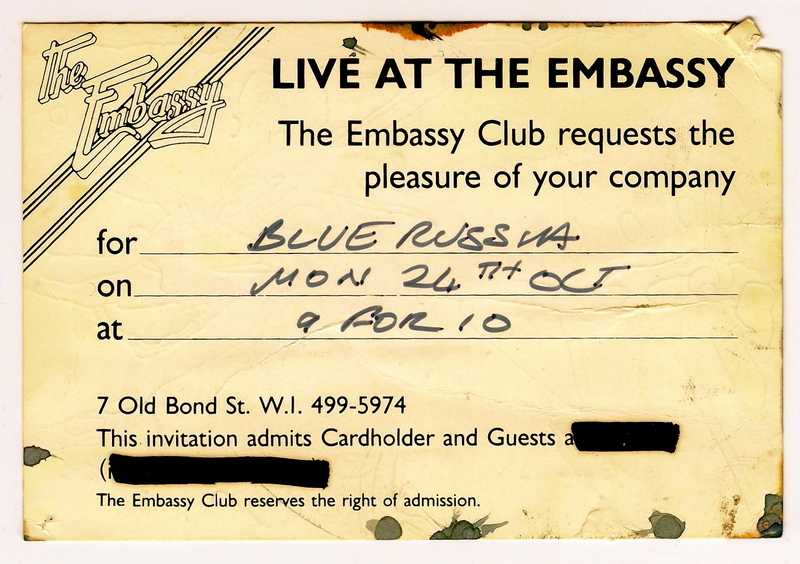 Blue Russia continued to gig and work hard in rehearsal rooms throughout London. 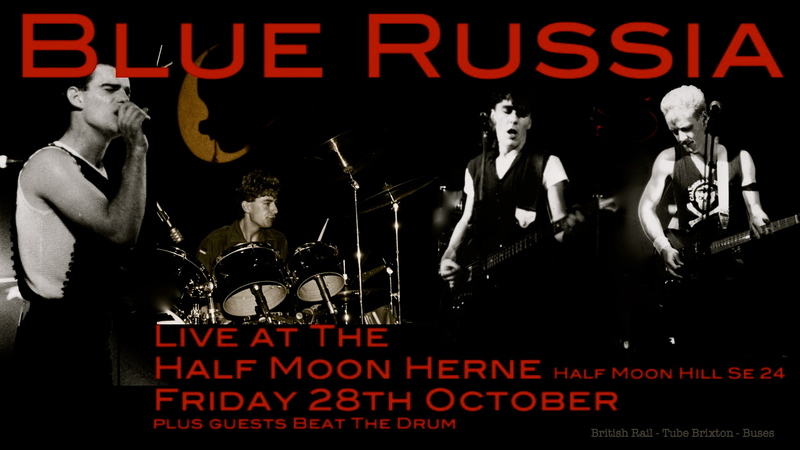 Dingwalls, The Marquee, Manor House, The Tramshed, and their popular residency at Half Moon Herne Hill. 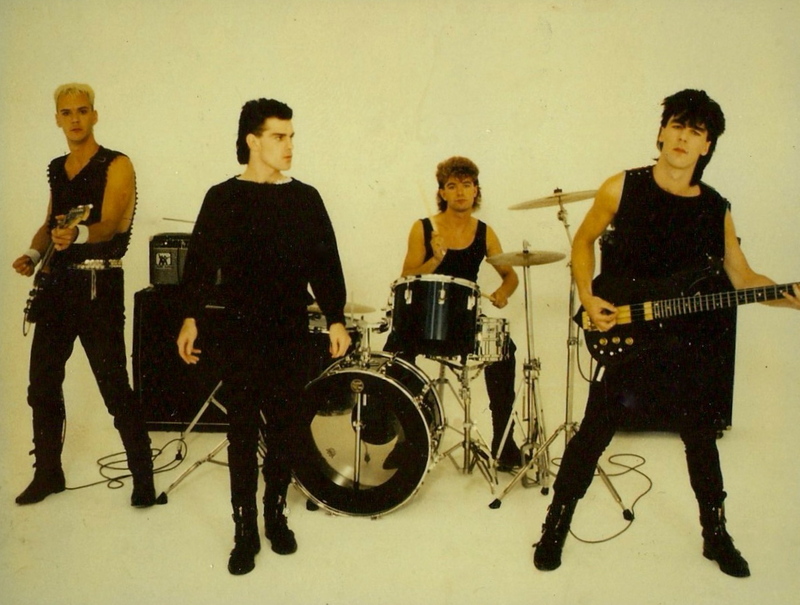 Seran Tashin a journalist for Time Out magazine featured band in and interview which elevated the bands popularity on the circuit in London. Peter Delaney’s family came from a very strong Dublin boxing lineage. All of the boys had fought at very high levels in the sport in Ireland. World light-heavyweight boxing champion John Conteh became a fan of the band after seeing them play at Dingwalls. Pete’s boxing style ‘choreography’ on stage had caught John’s attention and they found they had a lot in common. The band spent much time in Brixton and had many great friends and supporters there. 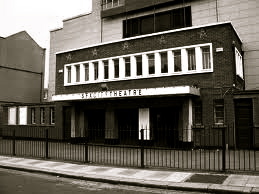 Recordings were also made at Alpine Grant‘s (brother of Eddy ) recording studios in North London these sessions were engineered by Chris O’Brien. Although the band had various record company interest, no deal was forthcoming. Nonetheless they continued to perform and refine their songs and set list. 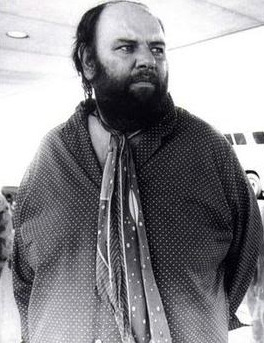 Adam and the Ant’s manager Don Murfit had partnered with Peter Grant -Led Zeppelin’s manager. 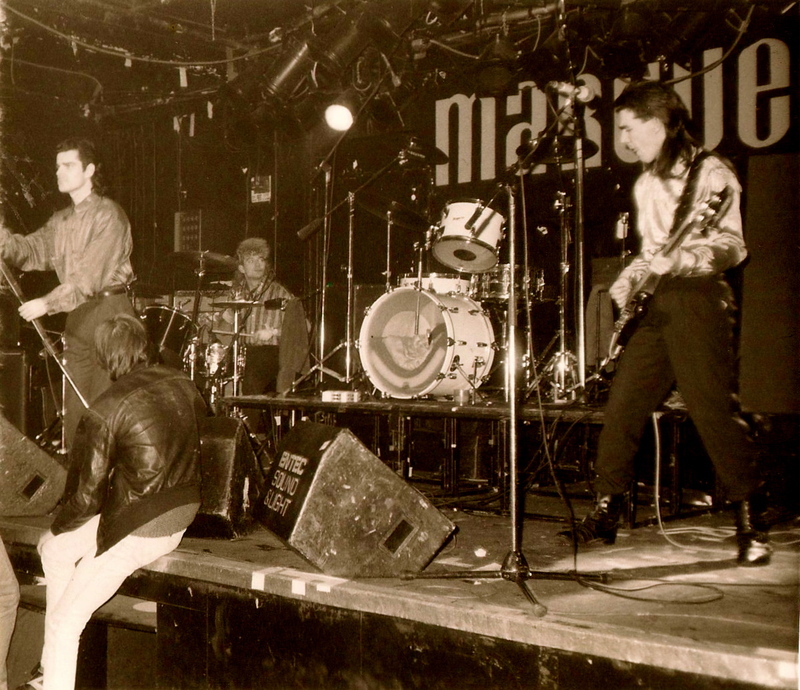 They became a new management force with the band. 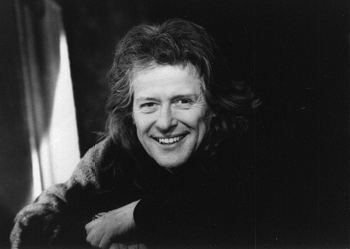 Murfit and Grant had worked together throughout the Led Zeppelin years and had gained a reputation for tough dealing within the music business. Peter Grants health was an issue as the rock’n’roll years were visibly showing, Peter had had numerous reclusive years and was encouraged by Don Murfit that the way back to health was to get back involved in band management again.Peter and Don were both perfect gentlemen and to be in the room with Peter Grant was really something to behold. A contract was entered into, still keeping Irish manger Tom Delaney on as a role as “Personal Manager” to the band. Peter Grant’s invitation to stay at Eastbourne and use rehearsal rooms was gratefully accepted. 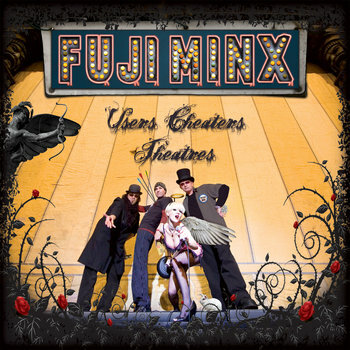 These sessions allowed the band to find their own space, in terms of discovering a unique sound and developing their song craft and a unit. 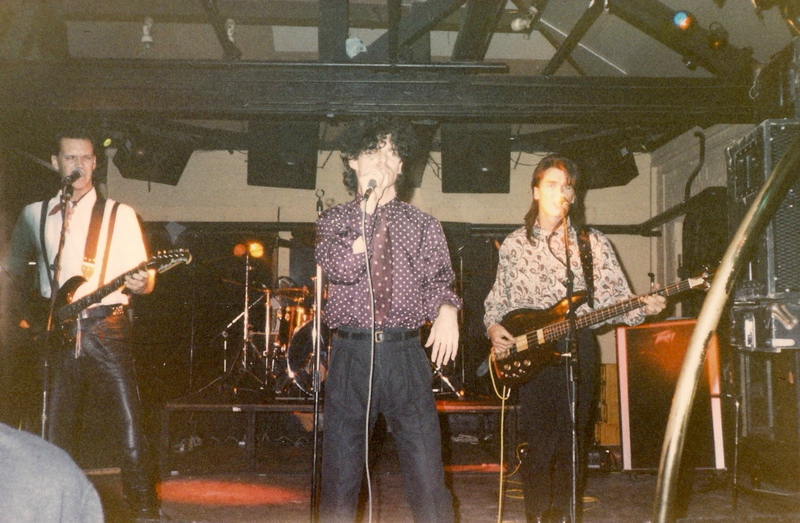 Producer Tom Newman was introduced to the band by Grant and Murfit and and it was decided to capture the band’s live energy by using a mobile recording unit. The bulk of these recording are the You Tube movies are the unmixed versions of the songs from those sessions. The band were extremely excited by the sound captured from these sessions and hopes of having something progressive to bring to labels was finally on the cards. Unfortunately these sessions were never completed as various reasons were set to self implode and the end finally caught up with The Russians. 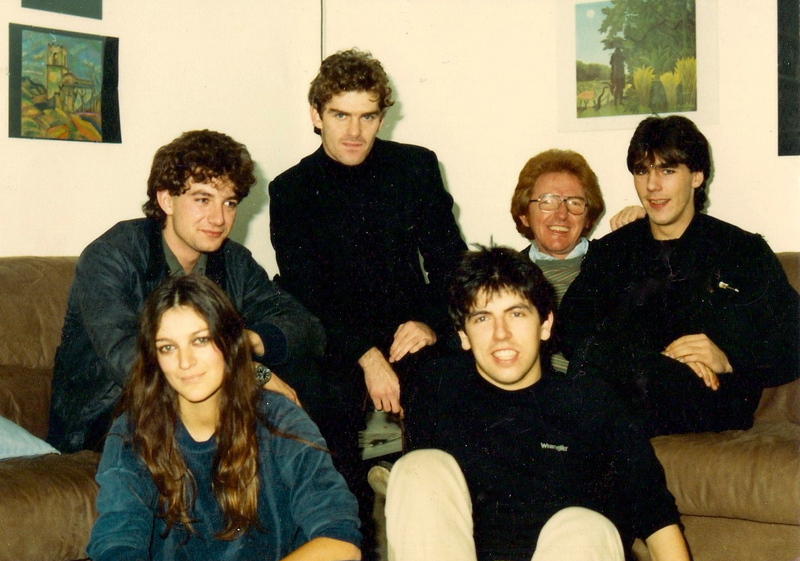 Home beckoned and Noel and Tony backed their bags and returned to Dublin with Pete and Jim remaining in London. Pete perused an acing career and Jim returned to playing guitar in various bands in London.